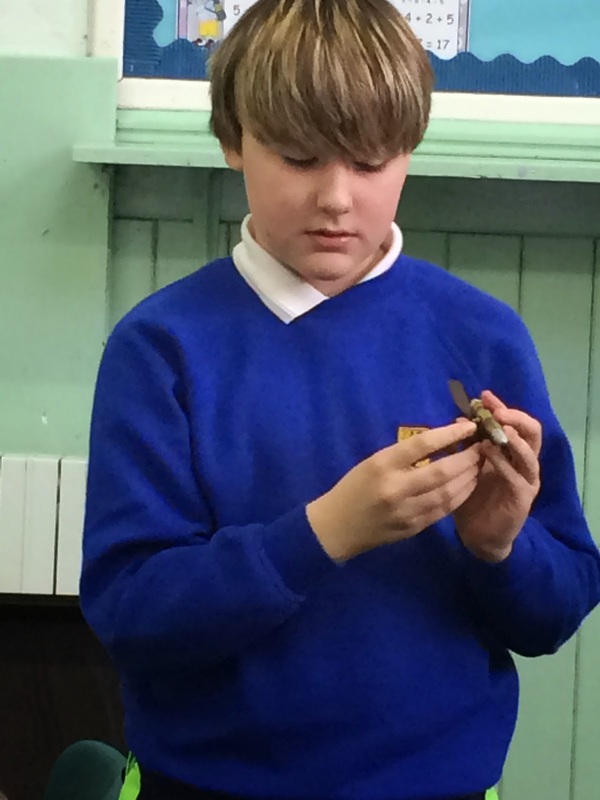 On Thursday 5th February each of the P7 classes took part in a workshop with Lorna Irvine. We were able to handle (carefully) many things that had survived from the First World War. Lorna also helped us think about how these artefacts might inspire some poetry writing.